You wouldn't know Halloween had finally arrived if you had been watching the 10-year-old the past few weeks. She's been wearing her costume to various Halloween events for some time now. A Girl Scout troop Halloween party. A Halloween party at our UU Meeting House. Halloween parade (and fun events) at her friend's community party last evening. And NOW -- the big event -- going Trick-or-Treating with friends. What costume did she choose? Her chest has three layers. The part that shows is a white longish garment with full sleeves, covered by a brown (her mother's old Air Force) tshirt. Her face only has a little of the red Sith stripes -- it is, after all, the younger Darth Vader of early Star Wars 3. And her hair? 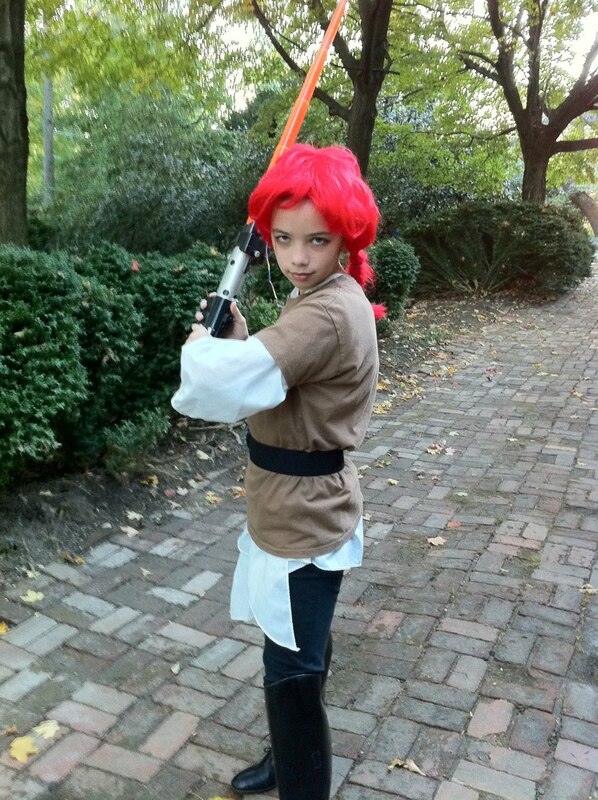 covered with her red Arial wig. 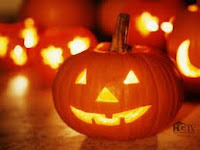 What are you -- or your kids -- going to do for Halloween? We all knew that someday in the future kids would be learning via computer. But did you know that the future is now? I don't know how long this article in Forbes Magazine (online) will be up, but click on the link to learn about schools in Scotland and the US of A which are giving every child an iPad to use in school. Benefit -- the iPad is flat which helps teacher see what each child is doing, whereas students can hide behind computers. Do you think this is a good idea? or not? Tuesday, we held our annual Halloween party at the Joppa Library from 6:00 to 7:30 pm. By five minutes of six, there were already costumed people in the library gathered around the craft tables and massing at the door to the meeting room. Exactly at 6:00 pm I placed the final supplies on the three craft tables in the Children's room and let the familes dig in. Another librarian sat at a fourth table helping children decorate paper bags. The meeting room doors opened showing various snack food, a few more crafts, plus a large pumpkin shape and a pile of beanbags. The object of this game was to try to toss your beanbag through the eyes or mouth. Each child checking in with me got a jack-o-lantern hand stamp. We had planned to have the costume parade about 7:00, but since everyone had pretty much hit every activity earlier, we formed the parade about 6:45. It wound its way around the adult department, stopping for "Trick or Treat" at the Information Desk, then approached me at the Children's Information Desk. No, I didn't have candy. Probably a record attendance for any program here. I saw this headline and was fascinated. I didn't know it smelled like anything strange. I had to go read the article. Think about what you think it smells like, then go read the NASA article here. Then come back here and tell us (in the comments) what you thought. Here's an interview with an editor who doesn't believe the picture book format(in this case, the picture book biography)as a physical format is dead. Check out this interview with Clarion's Lynn Polvino on Tina Nichols Coury's blog, Tales from a Rushmore Kid. 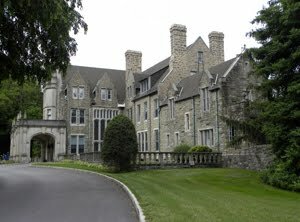 Lovely visit today with the librarians, Victoria Abens, and Mary Buxton, and the Middle School students at the Academy of Notre Dame in Villanova, PA.
Beautiful day for a drive north to the Philadelphia area. Enthusiastic students and teachers, great question and answer session. I feel inspired to keep writing. 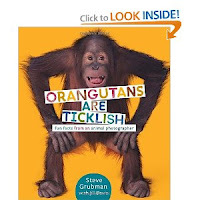 Orangutans are Ticklish, fun facts from an animal photographer by Steve Grubman with Jill Davis. NY: Schwartz & Wade, 2010. Don't plan to use this book for assignments. But it might serve as a kick-off to get children interested in wild animals. Steve Grubman, a wild animal photographer, presents photographs he took of various animals, along with a few interesting facts about the animals, plus side comments about the photo shoot. "This chimp and I took turns making funny faces at each other. Monkey see, monkey do!" Want more facts? 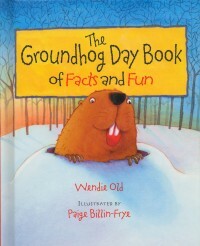 A few more about each animal are inserted on the last pages. This is more equivalent to an adult Coffe Table book than an informational book about animals. Do you like those t-shirts that have the design facing you on the front of the shirt, but shows the back of those object on the back of the shirt? Me too. Then you'll like the cover of this book. An Orangutang faces you on the front cover, but his backside is pictured on the back of the book. 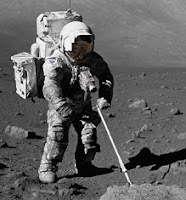 More Nonfiction Monday links can be found at Mother Reader's blog, today. A high schooler decided, after finishing a test, that he probably didn't do very well on it. So, at the bottom of the page, he drew a duck. Then a gun pointed at the duck. With the words, "If you don't give me a good grade, the duck gets it." The teacher graded the test, and as expected, the grade was a low one. The teacher had written, "I don't negotiate with terrorists!" and had drawn a bullet coming from the gun and through the duck's head. Why do I have this picture of Elephant and Piggie here? No reason -- I just LOVE it. Don't you? 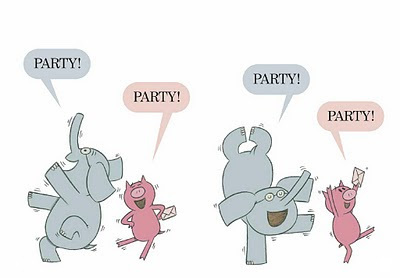 For those of you who don't have a young reader in the house, may I introduce you to the series of easy readers created by Mo Willems about two friends -- Elephant and Piggie. 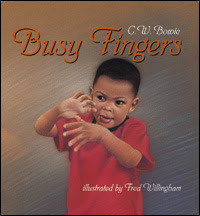 Winner of the ALA Geisel Award plus several honor book awards. (You've gotta read -- There is a Bird on your Head. As is the usual with Pebble books from Capstone, large page or page and a third photographs on the right are paired with two or three short sentences on the left. A glossary at the back of the book defines some of the more difficult words. 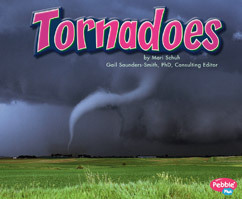 The concise wording gives the early reader an overview of what causes tornadoes and how to remain safe, while the final photographs show the devastation a tornado can do, ending with people helping people straighten up the mess. Capstone hopes the readers will come away with a better understanding of what causes these weather events and how to stay safe should a dangerous situation arise. Avalanches, Earthquakes, Hurricanes, Tsunamis, and Volcanoes. Enough violence to satisfy a bloodthirsty preshooler or to tantalize a first grader into wanting to know more. 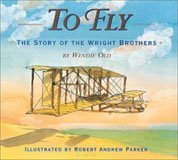 Be sure to click on over to Anastasia Suen's Picture Book of the Day blog and follow the links to more Nonfiction Monday blogs. The fifth book, Diary of a Wimpy Kid, The Ugly Truth (a purple book) by Jeff Kinney comes out in November -- November 9th to be exact. Reserve your copy at a local bookstore or at the library, today. In our library system, four or five branches are holding them. My branch held theirs this Saturday. Everyone filled out an application for the New York City Macy's Parade sweepstakes, then we settled down to talk about each book -- including the Wimpy Kid Movie book. For some reason, nobody noticed the cheese on the floor in front of the TV set. Using the sweepstakes forms, I drew for prizes. The publisher had sent me Wimpy Kid buttons, bookmarks, and window clings. Yes, everyone got prizes. Finally, I began showing the DVD of Jon Scieszka interviewing Jeff Kinney. Mayhem erupted! They discovered the cheese. Suddenly everyone was running around, trying to pass the cheese touch to someone else. "Quick! Cross your fingers. It's the only defense." 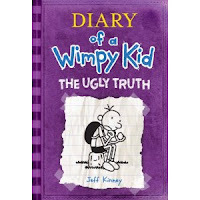 Although they could eat snacks, create a Wimpy Kid Haunted House on paper, or learn how to draw Greg while the DVD was running, most everyone focused on the 20 minute interview. By this time their parents had also wandered into the room and were enjoying the snacks and the DVD. A good Wimpy time was had by all. There I was, eating lunch in a college cafeteria, when I noticed that most of the guys there were wearing Kilts. Why was I there? I was attending a one-day conference and, although the Student Center was about a quarter mile away, I decided the walk and a powerhouse sandwich would be better for me than eating at the nearby Mickey-D's. Why were the guys wearing kilts? 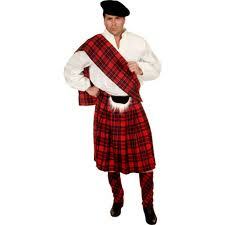 Some were actual pre-sewn kilts. Some were folded and gathered and belted old-fashioned kilts. Probably from material in mom's sewing closet. One girl asked why they were doing it. National Wear a Kilt to Class Day? I Googled it and found nothing about it. Hmmmm. Just a college joke? Busy, Busy this week. But still there are lots of Nonfiction blogs out there. For my own Nonfiction enjoyment, I often visit Marc Aronson's blog Nonfiction Matters or the group blog, I.N.K. 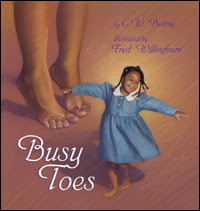 : Interesting Nonfiction for Kids. 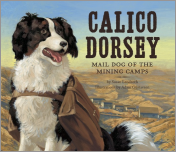 The Nonfiction Roundup for this Monday had been gathered at: Madigan Reads. Click on over and enjoy.